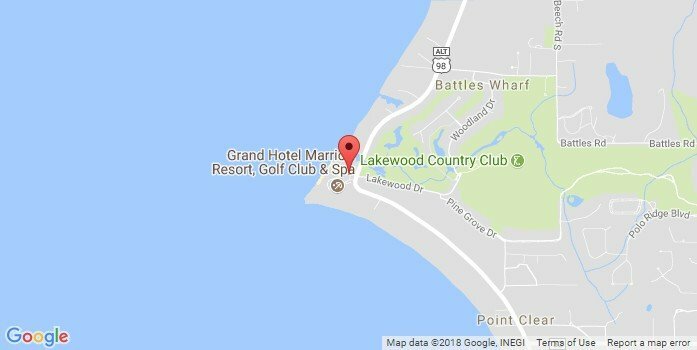 Shaped by 170 years of proud heritage and elevated by a very contemporary statement of southern hospitality, there is an unforgettable quality that underpins our renown as “The Queen of Southern Resorts.” Welcome to a gracious retreat on Alabama’s Gulf Coast – the iconic Grand Hotel Golf Resort & Spa awaits you. With two meticulously maintained championship courses to play, and an exciting refurbishment from tees to greens underway, The Grand is a glorious golf destination. Since opening its doors in 1847, The Grand Hotel has taken pride in a heritage of military service and as a gracious host to American presidents, world leaders and generations of families. Enhance your stay at our exquisite resort with one of our many special offers designed to let guests experience our stunning award-winning beach hotel's location on the Alabama Gulf Coast. The resort enjoys enviable proximity from many drivable metropolitan areas, direct service from 23 cities served by commercial airports in Mobile and Pensacola, while nearby Fairhope’s private airstrip is perfect for chartered or corporate arrivals. Shuttle Service is available to and from each airport. Call 251.990.6370 for prices and to make a reservation.